Author of the bestseller More than the Tattooed Mormon, Al Carraway and her husband, Ben, remind you that marriage isn't supposed to be "serious and hard." A successful marriage is one that you build as a team—emphasizing constant communication, working through hard times together, and (above all) remembering to put God first. Written for singles, newlyweds, and marriage veterans, Cheers to Eternity will help you bring new insights into your relationships, keep life in perspective, and make the rest of your life here and in eternity exciting, amazing and meaningful. BENJAMIN (BEN) A. CARRAWAY was born in Nürnberg, Germany, and raised in West Valley City, Utah. Ben graduated from Arizona State University with a degree in organizational leadership and is pursuing his graduate degree in leadership studies and higher education administration. He has a passion for becoming better and helping others to do the same. Ben created a personal growth website and blog titled High Thrive that is centered on helping others discover their potential and become better. Ben is married to his sweetheart, Al, and is the father of Gracie and Christian. The audio of this book was given to my wife as a gift, and I listened to it on the way to work. It's a great book with good examples. Quite a few laughs (Ben delivers his jokes so straight). 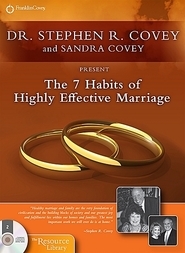 Get this book, it's a good investment in you marriage, and my wife and I have been married for 20 years. This was a really cute book. It's fun to see how other people see the importance of marriage, God and learning together. I don't know much about Ben, so it was cool to get to know him a little at the beginning of the book. They share the same love I have for the Temple so the last chapter of the book was my very favorite. Cute and fun read! This book is written in a way that anyone can benefit from its powerful message of love, teamwork, and finding joy. The best time to prepare for eternity is right now, exactly where you are; and this book provides unique insight on how to do exactly that. Al and Ben do an incredible job sharing their light and love for the gospel and each other. It's inspiring! Great non-fiction book that made me smile! This book is so much fun! It's not often that you read a non-fiction book and can't keep yourself from smiling, but this is that kind of book! I love the way it's written. The first section is just a conversation between the two authors, husband and wife Ben and Al. And they are hilarious! They talk about pretty much everything from their backgrounds to how they met to how they get over their arguments. I love how they are just so honest and open about everything. Even if it's a topic that embarrasses them, they still talk about it in an open way. chapters. I loved each of the chapters and learned a lot. Here's the chapter titles: It's Not About You; Communication; Always Have Time for Love; God's Will; Do Hard Things Together; God First, Bro; and Not Taking Things So Seriously. I loved that I personally learned things from each and every chapter. I loved that they included not only their personal stories and ways they learned each of the lessons they learned, but they also use personal stories from other couples and they are discreet and tasteful about it. This book is not a very long one, it is really an enjoyable read. I'm pretty sure it took me under an hour to read the whole thing, but it really resonated with me. I know I'm thinking of ways that I can take the lessons that Al and Ben have learned and apply them in my own life and marriage. Thanks to Al and Ben for opening up their lives and allowing us a peek inside! Check this one out, you'll love it as much as I did! And I just had to include the pictures they sent me of themselves, because aren't they just adorable!